Gary Sinise directs and acts is this retelling of the John Steinbeck depression-era novel about a friendship between a lonely man and a feeble-minded giant. John Malkovich co-stars. 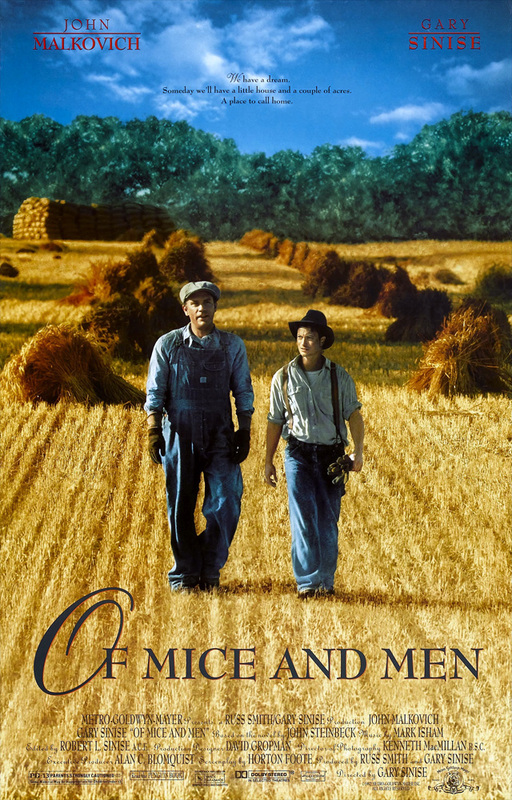 VIOLENCE/GORE 2 - A bunkhouse row, a shooting, and Curley, the ranch owner's son, gets his fist crushed in Lennie's powerful hand in a scene that's painful to watch. LANGUAGE 2 - Very mild, though the level of cussing surpasses the 1939 film version's, which was considered "shocking" in it's day. DISCUSSION TOPICS - Loyalty, jealousy, justice. MESSAGE - A sad lesson about the responsibilities encompassed by friendship.